Next week I have the unique opportunity to be one of the 8,000 women and men to celebrate Women in Computing at the Anita Borg Institute, Grace Hopper conference in Phoenix, Arizona. After much pleading and begging to my very supportive manager, Rajeev Gupta, he and the team finally caved and let me take 3 days away during our busiest time of the year. Yes, I am one of the key contributors to our next major release of CA Service Virtualization (due out shortly) and I also own the demo stations in the ca Devcenter area of CA World 2014. But aside from reviewing, organizing, blogging, planning, designing, scripting, testing and communicating in my day job next week, I plan to take a good look at how I can do a better job of advocating for women in the tech industry. I’ve decided to take a different strategy at this conference than I do at others. For one, at most other technology conferences, I go, I listen, I take notes and I hope to bring some of that knowledge with me back to the office. I do spend a lot of time networking and promoting my products or the technology space I am currently interested in. For the Grace Hopper conference, I’ve decided to take a different tact. I am listing out 5 questions which I consider my goals and am going to seek answers to these questions during the conference. What things can I do in my everyday interaction to help my colleagues recognize the plight of women in tech? Not that they are in denial, but I see more and more people simply not recognizing that we have a problem in this industry with supporting women. So what can I do to get others to see what I feel every day? To get them to empathize and hopefully do something? I hope to network with women leaders to see what things they have tried with their teams and colleagues. It should be fun putting these ideas to the test. How do I talk about the women in tech issue without sounding like a whiny little girl? Maybe it’s my own lack of confidence in the message but whenever advocating for women in tech, I almost feel like I’m begging. For instance, I was staffing the booths for CA World 2014 and felt like I had to justify staffing more women in the demo area. The women I chose are exceptional in their roles but I still felt like I needed to explain why I was pulling them away from their important day jobs to help showcase our latest and greatest technology. So maybe the goal isn’t to stop sounding like a “whiny little girl” but more to hone my message AND to build up my own confidence and delivery of that message. I definitely plan to ask the women I meet what they do to advocate for women in tech today and how they pitch this message both within their companies and in their industry. How can I recruit more male advocates for Women in Tech? It is proven that in any minority struggle, finding advocates in the majority will help the cause excel more quickly and to more impactful levels. But how do I speak to the men at my company and in my industry to get them to see this as a valuable cause to fight for? I will be looking for advice from the current male advocates who will be presenting at the conference. Their perspectives should be insightful. How can I hold my company accountable for hiring and promoting women in tech? Being at CA Technologies over 14 years has taught me something – I will not shy away from making myself heard because this company does listen and will change for the better. You see, I’m disappointed. My executive management recently announced an organization change in higher level engineering management. This impacted up to 10 executive “general manager” level roles. Zero of the appointed or newly hired people are women. What should I do now? I’m obviously distraught by this fact and feel like they haven’t considered enough women for these roles but I am unable to articulate the right message to the recruiting team or to our executive team to get them to understand. I really hope to get advice on this subject at the conference next week and look forward to changing some high-powered minds at the top for the betterment of CA Technologies future. 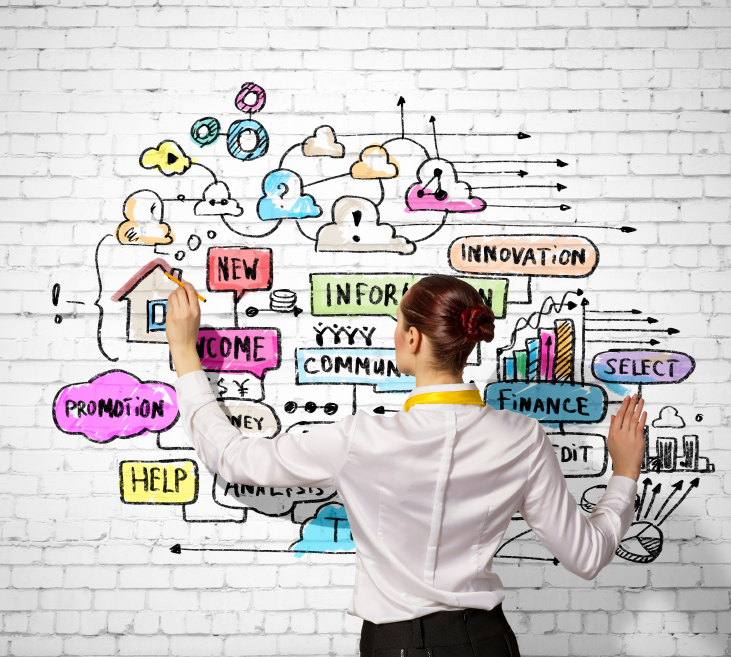 Which women-led technology development or research programs should I begin to support? I enjoy being an advocate for the little guy/gal. The up-and-coming startup or the inventor of a new idea inspires me. If I can give them time, assistance, promotion or even a bit of an investment to get them started, it not only makes me feel great but helps me expand my knowledge of technology. I hope to find at least 1 or 2 new projects to support while attending the poster sessions at the conference. Well, I’m excited about next week. I plan on making the 2014 Grace Hopper Celebration of Women in Computing a huge change agent in my career. I look forward to blogging about the answers I found at the conference and hearing from you all as well. What have you found to be successful? What have you learned at the conference in years past? Are there other questions I should be seeking answers to? Share your thoughts in the comments section below and if you’ll be in attendance next week, don’t forget to meet up with me at the CA Technologies booth (#418) in the career fair!